For sale: 1950s property with plenty of history and character. Great transport links but in need of some renovation. I should mention that it spent 40 years storing explosives. Hi, I’m Suzy Fox and I work in DIO’s Disposals team. The military estate is vast and varied and not all of it is still required, so my team’s job is to manage the sale of parts of the estate which have been deemed surplus to defence requirements. It could be a parcel of land, a whole base - recent DIO sales include RAF Kirton in Lindsay, RAF Church Fenton and Minley Manor - or part of a larger site. 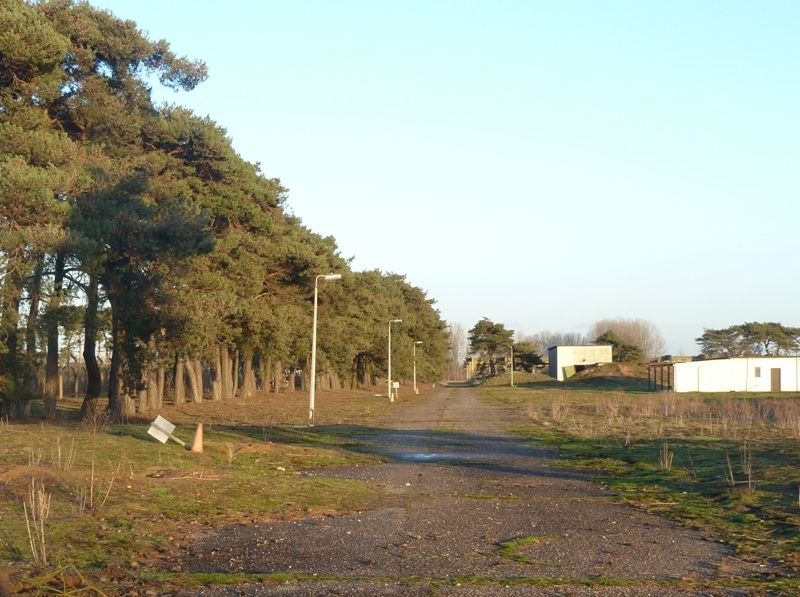 I’m responsible for a number of ongoing disposals but one of the more unusual ones at the moment is the sale of the former explosives storage area near RAF Mildenhall. The RAF base is currently used by the US Air Force (USAF) but the sale of the Explosives Storage Area is unconnected to the recent announcement that the USAF will be leaving RAF Mildenhall. The Explosives Storage Area, two miles north of the main base, has been disused for a number of years. It was built on agricultural land in 1955 to allow the storage of ammunition for RAF Mildenhall. At 16.86 hectares, the site is about the size of 16 international rugby union pitches. There are 18 buildings, most of which are the former ammunition stores with brick walls and reinforced concrete roofs. The others are accommodation blocks, and there are also water reservoirs dotted around. The rest of the site is made up of trees, grassy areas and roads linking the buildings. Whoever buys it can be certain that the site will be very secure – given the nature of an explosives storage area, it is naturally surrounded by fencing and access is via security gates. Though there hasn’t been any ammunition there for two decades, when there was, security was understandably paramount. Even after that, nobody wants trespassers. To minimise ongoing costs, the site has been disconnected from water, electricity and phone lines since it closed. The site is currently up for sale and is being marketed by our agents, GVA. It’s an unusual place so hopefully it will attract a lot of interest! To aid potential buyers, we’ve conducted various surveys, including an Asbestos Management Survey, Explosive Ordnance Survey, Land Quality Assessment and even a Newt Survey, so any purchaser knows what they’re getting. In common with all MOD disposals, the money raised by the sale will be used to support defence priorities, and there’s also a provision called clawback. This means that if purchasers obtain planning approval which increases the value of the land in the 20 years following the sale, the purchasers agree to pay DIO 50% of the increase in value. It’s a standard clause in our disposal contracts. This way, we don’t miss out on any financial benefits of future development of land we’ve sold and is another way for us to financially support defence priorities. 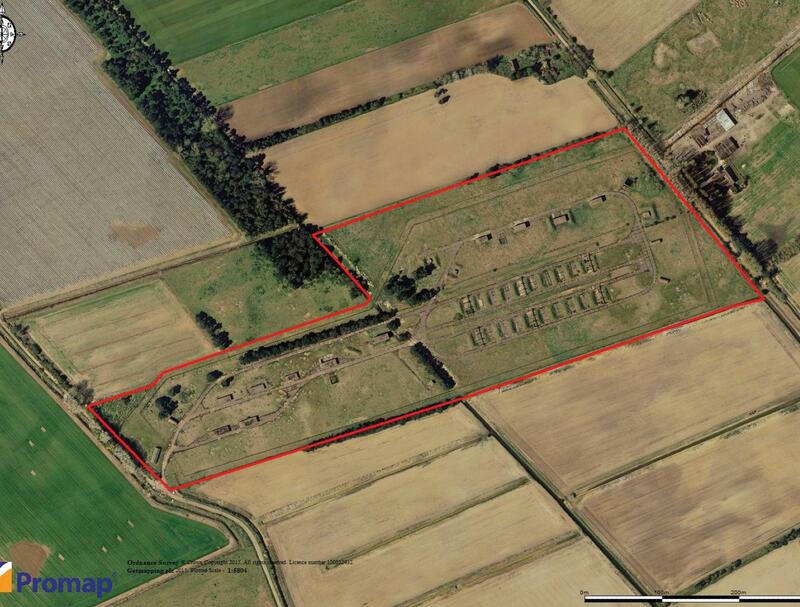 If you’re in the market for an unusual property with plenty of history, the Mildenhall Explosives Storage Area might just be for you! I would be interested in talking to you regarding sale of disused property. Thanks for your interest. Enquiries need to go through our agents, GVA. Please contact Andrew Moss on 0121 609 8398. If I was purchasing that storage site I would expect to profit from the purchase outright by developing the site by building housing etc subject to planning permission and not have the MOD or Defence Estates claw back any future rise in value of the land or properties built on it. Hi Robert, thanks for your question. Unfortunately there isn't a publically available list. Firstly can you tell me if this property is still for sale. Secondly if it is still available what sort of price are you looking for. Thirdly are the buildings on site intact. The site was sold last year. Thanks for your interest. Hi Suzy-Is this property still available for sale. can I please ask if you have a register I can go on to be able to see all army property that is being sold. I wish to make a specific enquiry about an disused MOD property. Can you please direct me to a person able to assist. Thanks. Hi Steen, which property is it and where?